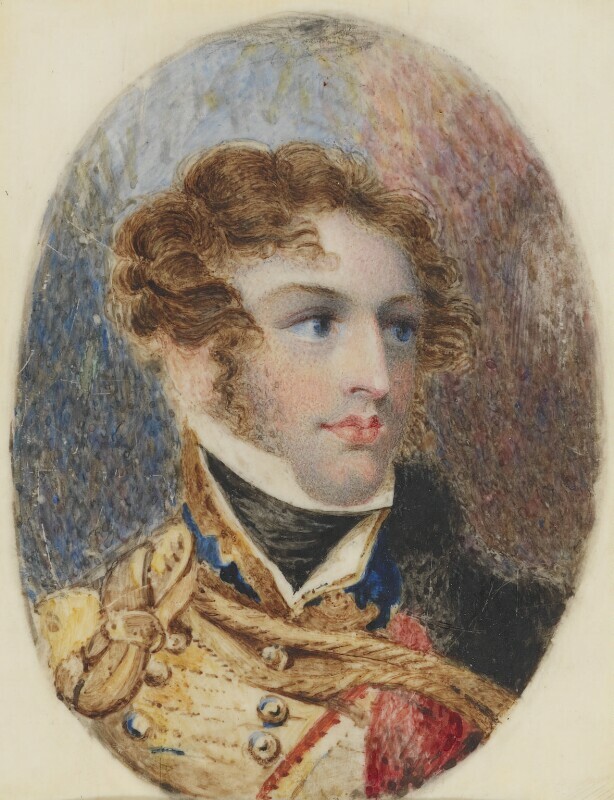 In this portrait miniature, believed to have been painted in Belguim or France before his arrival in England in 1816, Prince Leopold is once again romantically portrayed as a proud military officer in his Russian Hussar's uniform. Leopold is known to have given a smaller, but very similar work, as a love token to Princess Charlotte, set in a golden locket engraved with the arms of Saxe-Coburg. Painted by Louis-Francois Aubry, and now in the Royal Collection, it is highly likely that the work seen here was made by the same hand.